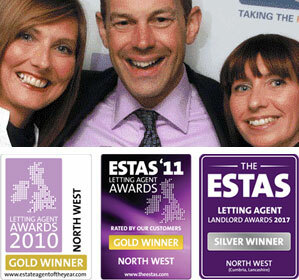 We are one of the top letting agents in the North West providing award winning service. We provide you with the best possible service and the right tenant for your property. 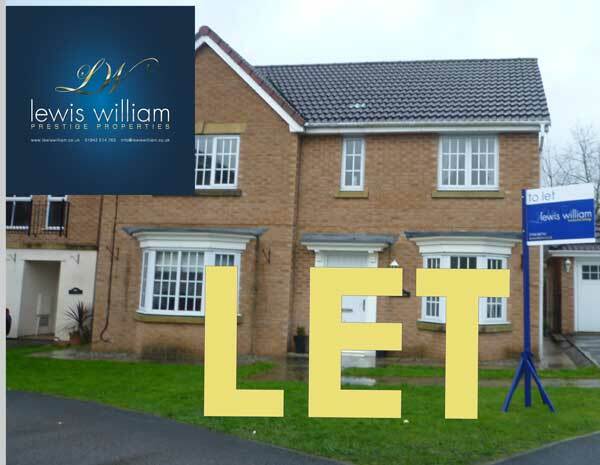 Visit the Lewis William Rightmove pages to view all our properties to rent. Visit our sister company Stone Cross Estate Agents to view all their properties for sale. Lewis William Residential Lettings was established in 1999 by partners Beverley Ellison and Andrea Carrey, who between them have over 45 years' combined experience in the property market. 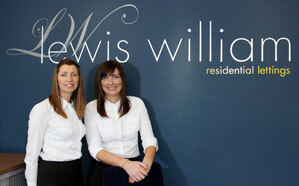 Lewis William are a local, independent firm specialising in Residential Lettings and Property Management. As specialists we are fully focused on the priorities and needs of the Landlord. As Landlords ourselves we completely understand the needs of our clients & treat each property as one of our own; indeed our landlord testimonials are second to none. We never forget that the property is your most important asset and we can confidently assure you that by instructing us to act, as your Letting and Management Agents your asset will be in professional and caring hands. The family-run business has since carved a reputation as one of the top letting agents in the North West. This was confirmed when we won the prestigious ESTAS Awards presented by Phil Spencer. The awards were based purely on comments and feedback from landlords regarding the standard of customer service they receive from their letting agents. 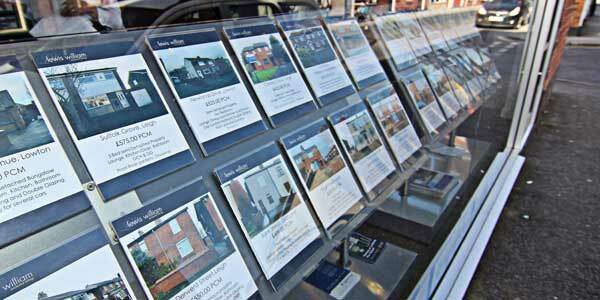 Houses to Sell in Atherton and Tyldesley?
. . . then call our sister company Stone Cross Estate Agents for unbeatable offers. Selling fees from £999 plus vat. 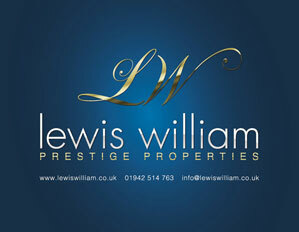 Lewis William Prestige Properties are a family run company who are dedicated to lettings. Call for a FREE rental valuation on your Prestige Property on 01942 514763. A lovely team of people who are always friendly and helpful. I wish I had more properties for them to let. Always completely hassle free. We found Lewis William extremely friendly and professional throughout. Though we are professional Landlords we nevertheless learned more. The advice given was extremely helpful and nothing was too much trouble. We let within 10 days at a rate above our expectation in a very quiet market. This was the second such occasion but not the last. An extremely well organised, professional and efficiently run business. Sue was the member of staff I dealt with the whole process and I can't praise her enough. 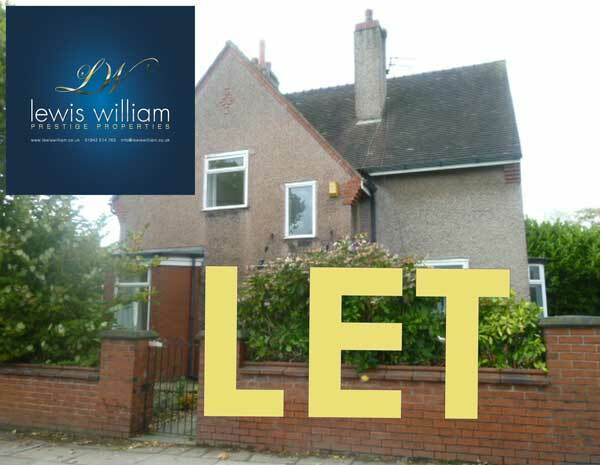 The properties Lewis William showed were far superior to the properties we had looked at on our own. Thank you so much for your attentive and friendly service. We will highly recommend you to all of our friends. I received professional and excellent service. I found the staff to be competent with brilliant communication skills. 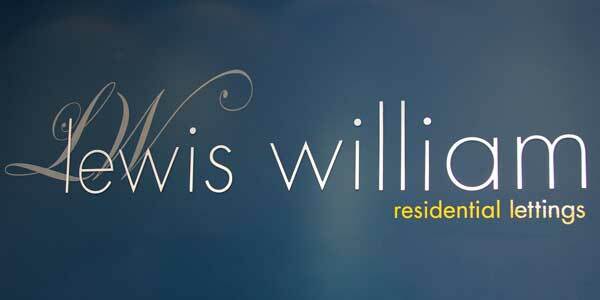 I have always found Lewis William to be reliable and proactive in managing my properties. Their communication is very good. They develop good relationships with tenants, who in turn have always looked after my properties. I wish they would expand and cover other properties I have in other areas! Lina. I would just like to say a big thank you especially to Cath but also the rest of the team at Lewis William Tyldesley. Not only have I found you guys helpful when I call with a query but you call me to keep informed of what is going on and should anything need sorted out at the flat I let out can 100% trust that it will be sorted. I hope to continue to do business with Lewis William for many more years. Thanks again, Stephen. 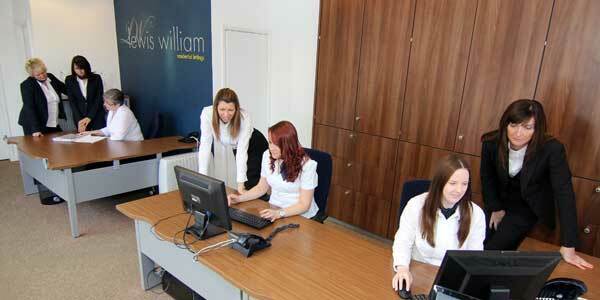 Lewis William offers a friendly and efficient service for landlords seeking an agent to manage their properties. They look after the interests of their landlords, while at the same time ensuring that a high standard of accommodation is provided for the tenants They have always kept us well informed about the situation in our properties and keep us up-to-date with relevant changes in legislation and how they affect us. Raymond Cook. Lewis William have let my properties for nearly 10 years. I've found them to be quite proactive in letting my property sooner rather than later and that is what's important for me. Mrs A, Leigh. Lewis William have looked after my property for a number of years, they are diligent and professional, advising and informing me with regards to the property. I would recommend anyone with a property to rent who wants peace of mind to use their professional and friendly service. Mr P, Lowton. Lewis William have been a great agency to use, they are friendly, efficient and quick to sort out any issues that arise with your property. I would definitely use them again. Mrs B, Golborne. 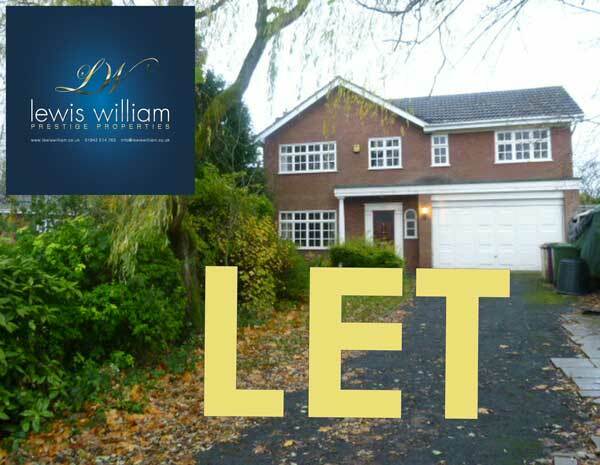 Lewis William has carved a reputation as being one of the top letting agents in the Leigh, Lowton, Golborne, Tyldesley, Atherton, Astley, and Ashton-in-Makerfield areas. This was confirmed in 2010 when they won the prestigious Gold Estas Award which was based purely on comments and feedback. Over 19,000 votes were received, making the awards the most important and valuable in the industry. Visit the Lewis William (Leigh Office) Rightmove page and the Lewis William (Tyldesley Office) Rightmove page to view all our properties for rent. Please note (Credit check fee / Holding fees) are non refundable. If the Landlord decides not to rent the property to you i.e. your reference comes back as a failed reference or an unacceptable reference then your Full Holding fee/Credit check fee will not be refunded. Upon Lewis William receiving money on account for the above property please note that it is non refundable if the tenancy does not proceed, if the landlord decides not to proceed with a tenancy i.e. if the landlord takes the property off the market then the landlord will refund the monies to you. 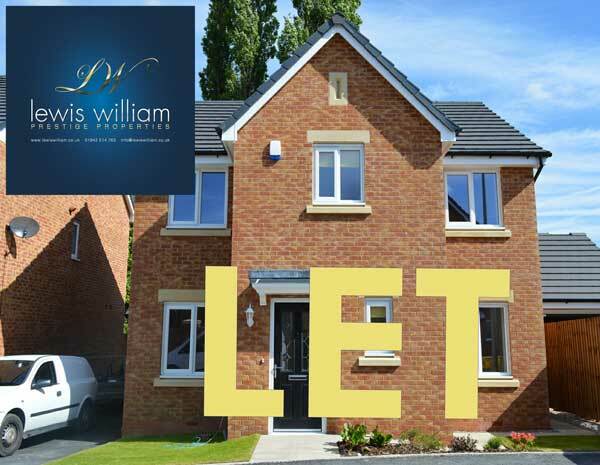 Lewis William Residential Lettings work in partnership with Let Alliance who will provide you with a no obligation quote for tenant liability insurance upon completion of your reference application. 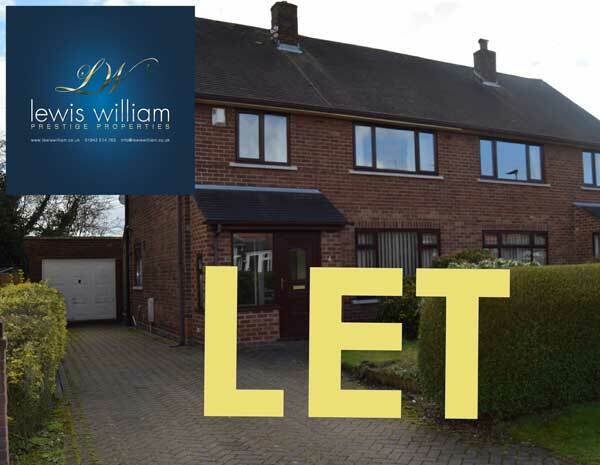 Alternatively, you can provide Lewis William Residential Lettings with a copy of your current policy details prior to moving in to a property. Please note all accounts beyond our credit terms will be passed to our debt collection agency, Sinclair Goldberg Price Ltd. All accounts, without exception, will be subject to a surcharge of 15% plus vat to cover our costs in recovery. These accounts will also be subject to any legal costs incurred in obtaining settlement. A member of our team will meet you at your property and discuss our services and offer advice on letting your property. If you require a member of our team to meet you at a property you are about to purchase we will be more than happy to advise you on the rental value of your investment *A fee may be payable*. © Lewis William Limited, Leigh, Tyldesley, Lowton. Company No. 07562736.